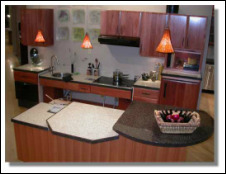 ... At All Life Stages"
A "universal design" kitchen has special details, including accessible cabinetry, raised electrical outlets, roll-under sinks, custom level appliances, lowered light switches and widened 36" doorways. These features enhance the functionality and beauty of the space. 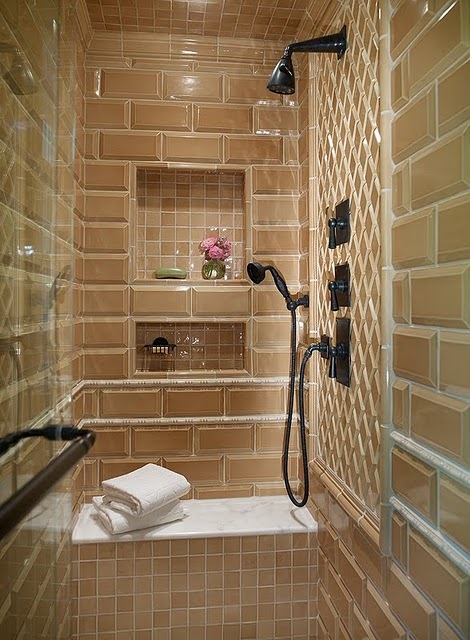 The bathroom is equipped with heated floors for comfort and safety, handheld shower heads for control, accessible storage niches, decorative handle bars that are both strong and aesthetically appealing, and a custom level bench for convenience - A beautiful spa oasis. 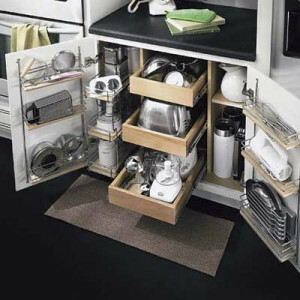 Cabinetry that is accessible and space- saving keeps one from digging into hard to reach shelving for cookware, pantry items and small appliances. Hardware knobs and pulls should be easy to handle as the dexterity in our hands change over time.